Experts are yet to fully understand the causes of autoimmune diseases. Experts believe a molecule in parasitic worms could help explain why worm infections can effectively treat a range of autoimmune diseases, including multiple sclerosis, psoriasis, rheumatoid arthritis and lupus. The Monash University study, published in the FASEB Journal, successfully identified peptides from parasitic worms that suppress the body's immune response. Researchers believe this could pave the way for a new drug containing the peptide to provide relief from the symptoms of autoimmune diseases. Affecting as many as one in 20 Australians, autoimmune diseases occur when a person's immune system has an abnormal response against its own cells, tissues or even entire organs, resulting in inflammation and damage. 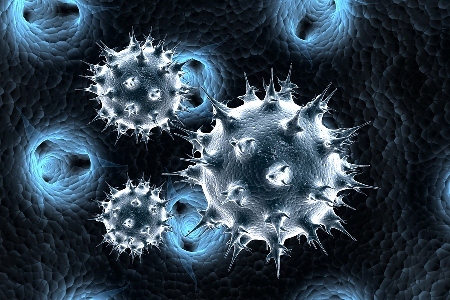 Lead researcher Professor Ray Norton from Monash Institute of Pharmaceutical Sciences (MIPS) said experts around the world have yet to fully understand the causes of autoimmune diseases, which have risen significantly in parts of the world. "There are more than eighty autoimmune diseases, ranging in severity from mild to life threatening in some cases. While some affect mainly one area or organ, others can affect many parts of the body," he said. 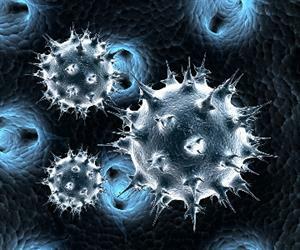 "Many people believe there's a link between the rise in autoimmune diseases and an increased focus on cleanliness in western societies, because the immune system is no longer exposed to the broad range of infections that previous generations had to deal with. The new line of research offers an alternative to helminthic therapy, where people deliberately infect themselves with parasitic worms, in an attempt to put their autoimmune disease into remission. It's thought that the worms have a calming effect on their host's immune systems in order to ensure their survival. Rather than using worms, the research team searched for the active components responsible for immunomodulatory effects in parasitic worms. By creating a cDNA library from the anterior secretory glands of the parasitic hookworm Ancylostoma caninium, they identified a peptide called AcK1 that dampens the immune system by inhibiting a potassium channel (Kv1.3). Researchers found that AcK1 closely resembles ShK, a peptide from a sea anemone, which has been shown to suppress autoimmune diseases and is currently in clinical trials for the treatment of multiple sclerosis. Dr Sandeep Chhabra from Monash Institute of Pharmaceutical Sciences said the study will help in developing new drugs to treat autoimmune diseases. "Our research shows that it is possible to identify individual molecules responsible for this beneficial effect," Dr Chhabra said. "The next step will be to see if we can develop this into a pill that could dampen the immune system in people with an autoimmune disease. That's a whole lot cleaner than putting a worm in your body."